Dieses Landhaus ist ideal für 6 Personen (+1 Zustellbett) und besteht aus einem Haupt- und einem Nebengebäude. Ruhesuchende haben hier ihr perfektes Urlaubsdomizil mit Blick auf die Landschaft und Berge. la villa est tres belle et a beaucoup de charme. nous nous y sommes sentis tres bien. elle est tres grande , chaque chambre dispose de sa propre salle de bain, et elle est tres bien équipée. la piscine est très appréciable ,de plus la propriété est bien ombragée. le seul petit petit bémol est la proximité de la femme de ménage qui est venue a 9h30 le jour du depart alors que le check out est prévu à 10h. nous recommandons sans hésitation la villa et nous y retournerions si l occasion se présentait. Better than advertised! Quiet and rural, beautiful view of the mountains, rural. 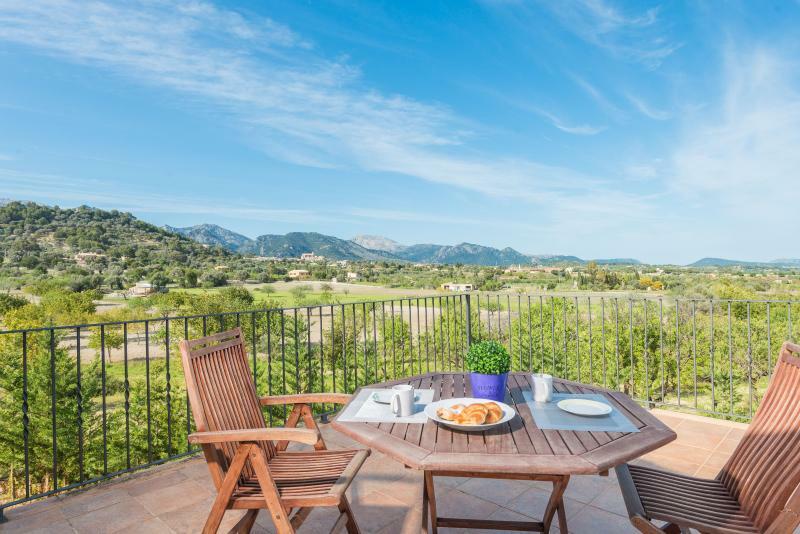 Just outside of the town of Inca, centrally located in Mallorca, half hour or a bit more drive to Palma, Alcudia, Soller. Must have a car to get around - lots of parking space. Great house with two+ bedrooms and two baths in the main house and another bedroom and bathroom in the little house beside it. Lots of outside areas to sit by the pool, terraces, gardens. 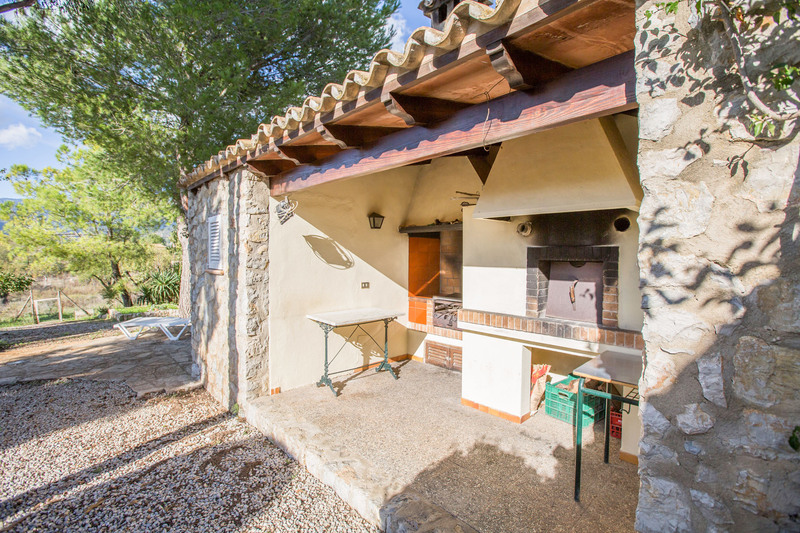 Nice fireplace and good kitchen, quite well equipped. Very clean, nice linens. Large dining and sitting room areas. I would come back and stay here. I would have liked to have seen a person when arriving and leaving. Also needed a booklet or binder with instructions and directions for things in the house. We did finally figure out how to use the dishwasher! A really good experience. Die Finca hält was die Beschreibung verspricht! Tolles, sehr sauberes Haus mit vielen Annehmlichkeiten. Wunderschöner Garten mit großem Pool. Wir und die Kinder haben uns sehr wohl gefühlt. Die Besitzer sind sehr nett und zuvorkommend.